Again I was tempting for a long journey.This time Travelling Destination was Kochi the Queen of Arab Sagar: Since the formation of Kerala in 1957, Kochi has been the commercial capital of Kerala as well as the seat of the Kerala High Court. 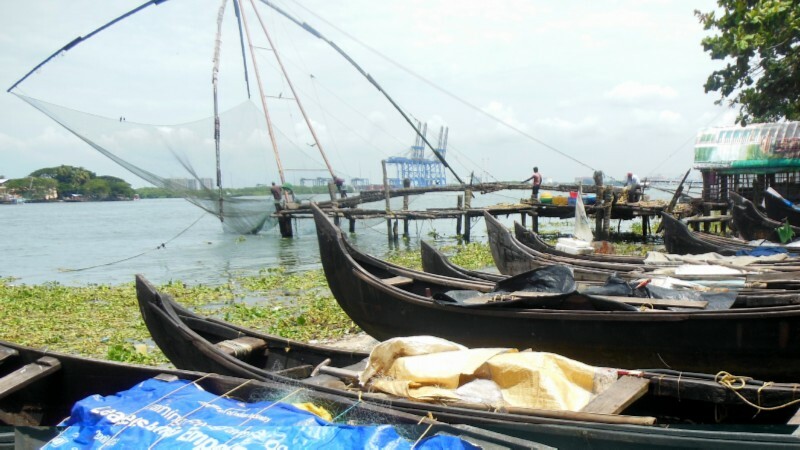 Since 2000, Kochi has revitalized its economy, with a focus on tourism, information technology, and the port. 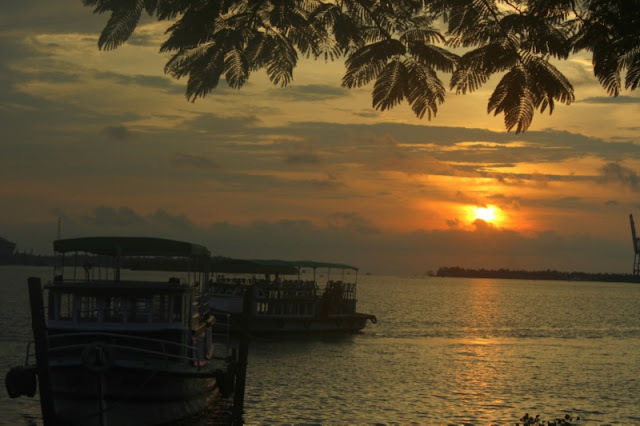 Kochi got the title of “Queen of Arab Sagar” due to charming and tranquilizing beaches offering a breathtaking view and natural beauty mixed with its pristine water and tranquil ambience.Ernakulam is Railway station for Fort Kochi. 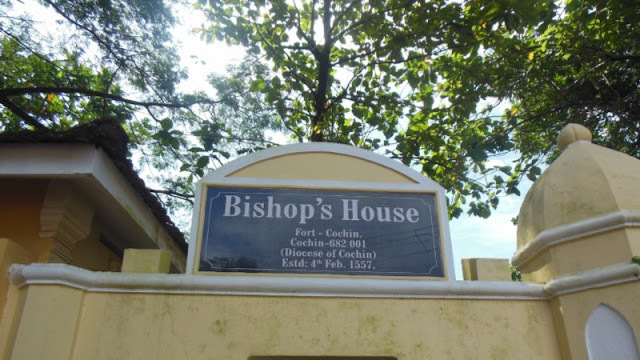 Colonization of India was started from Kochi. 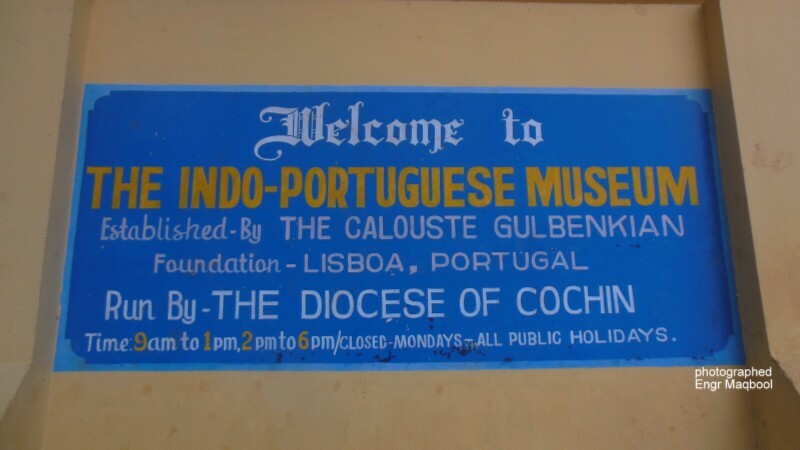 Portugal was first to establish its base in Kochi, followed by the Dutch and English. From time immemorial, the Arabs, British, Chinese, Dutch, and Portuguese have left indelible marks on the cheek of history. Fort is name of old Kochi. So when visiting Kochi, it must be clear that actually your are going to see the old Kochi town. Kochi was born in 1341, when a flood created a natural safe port that swiftly replaced Muziris (Kodungallur, 50km north) as the chief harbor on the Malabar coastline. 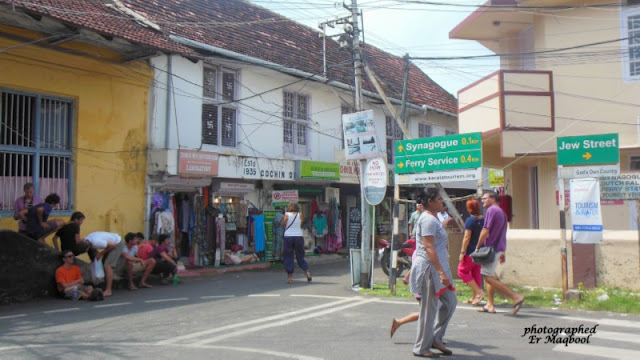 The royal family transferred here from Muziris in 1405, after which the city grew rapidly, attracting Christian, Arab and Jewish settlers from the Middle East. 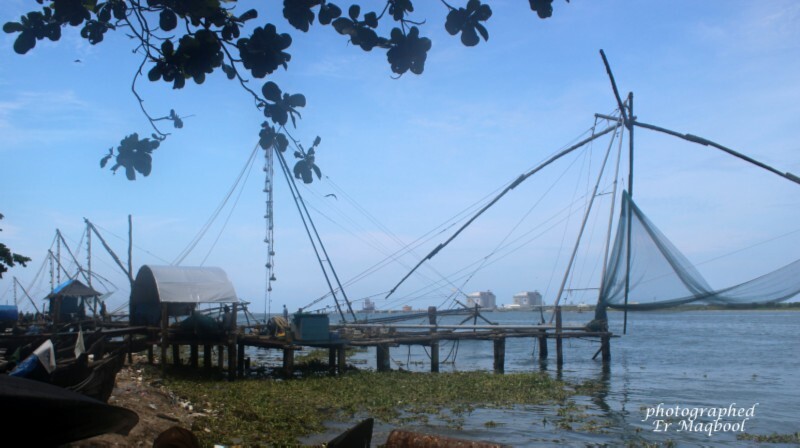 The history of the European involvement in Kochi from the early 1500s on wards is dominated by the aggression of, successively, the Portuguese, Dutch and British, competing to control the port and its lucrative spice trade. 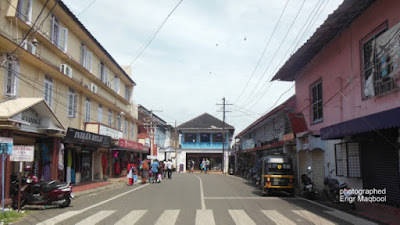 Let us start from Ernakulam which is over in the mainland part of Kochi city and well connected to the rest of Kerala and India. 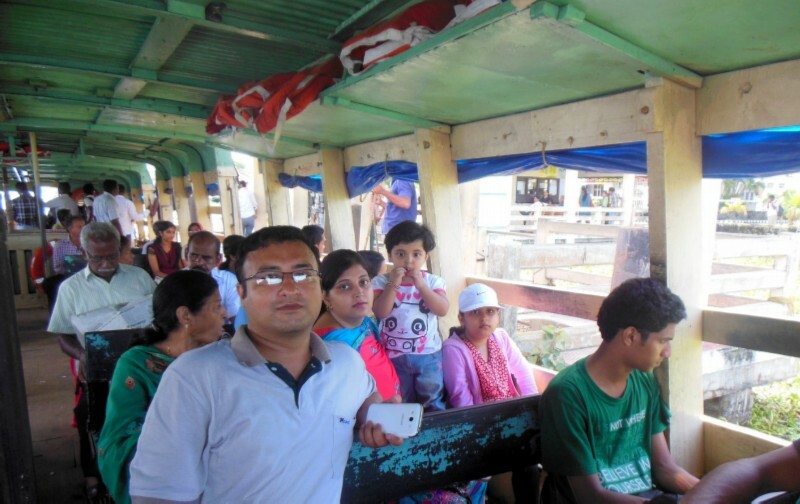 We boarded a ferry towards Fort Kochi for just Rs. 8 (to and fro). It was a 30 mt journey. Surprised to get something this cheap. After a slow and yet comforting ride, we reached Fort Kochi. ST. Francis Church is the erstwhile resting place of Vasco-da-Gama.The Portuguese explorer, Vasco da Gama who opened up the sea route to India , died in Kochi in 1524 when he was on his third visit to India. His body was originally buried in this church, but after fourteen years his remains were removed to Lisbon. 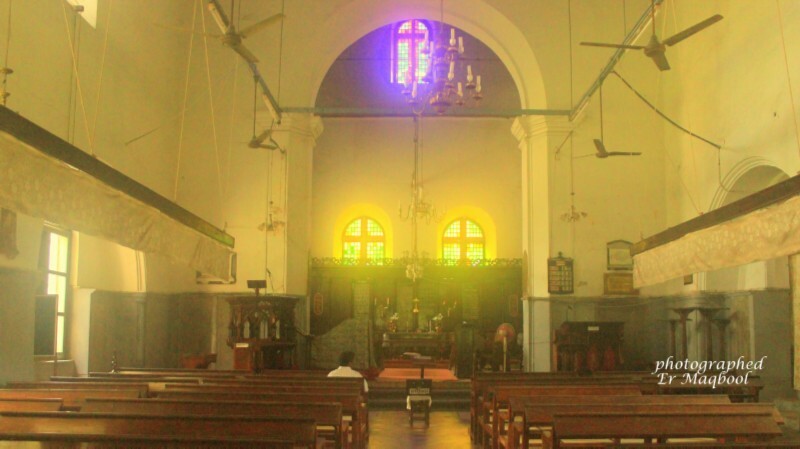 The Hindu ruler gave them a strip of land, where they first built a fort, and within it, a church. This church, built of wood in 1503, was dedicated to Saint Bartholomew. Dutch arrived, and converted it to a Protestant Church, till it passed into British hands, and came to be called the ‘St. Francis Church’. It is also known as the Dutch Palace after it was renovated by the Dutch in 1663 and the wooden palace has some interesting exhibits that help bring to life the multicultural history of Cochin but the most impressive is the intricate and well preserved Hindu murals depicting the famous epic of the Ramayana. 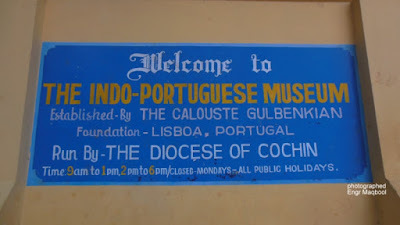 Besides the paintings, the palace museum has family portraits of the Kochi royal family, and some of their personal artifacts, and more interestingly, historical, geographical and political timelines of the region, which are a big help in understanding the history and heritage of Fort Kochi. 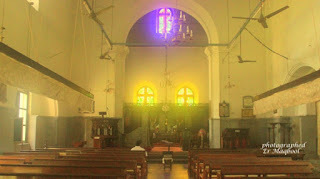 t is believed that Jews first came to Kerala to trade in spices and ivory during King Solomon’s reign.Jewish Synagogue, situated at one end of the Jew Street, is at short walk from Mattancherry bus stand or from the boat jetty. 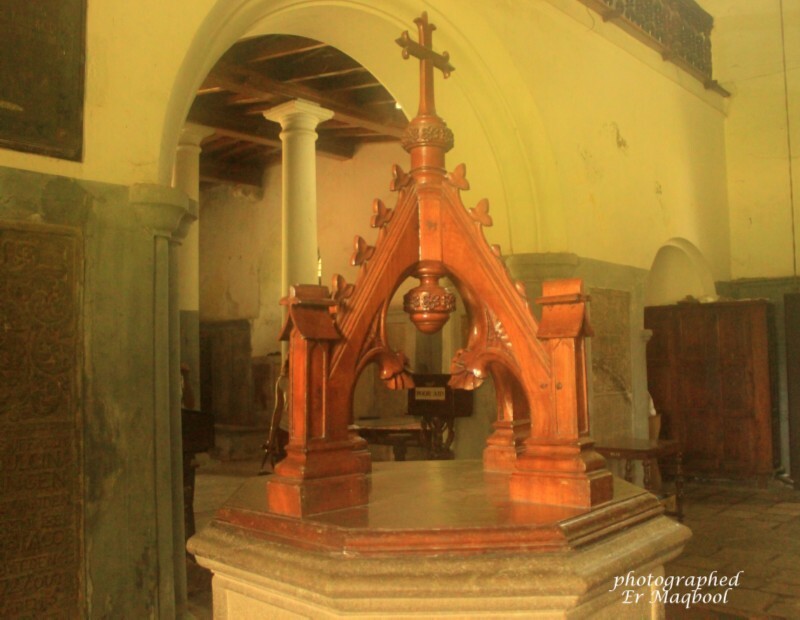 Jews fleeing the Spanish inquisition in the early 16th century also reached Kochi, followed by immigrants from Baghdad, Yemen and other parts of the Middle East. 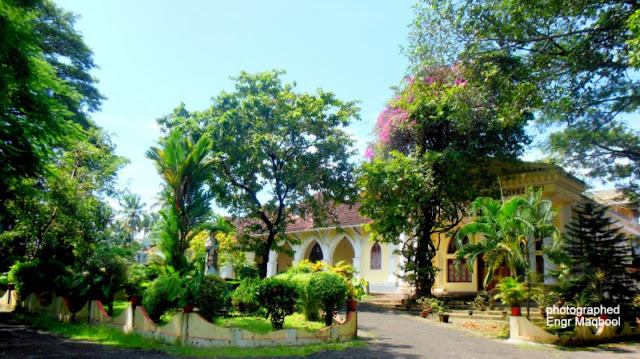 The newcomers, called paradesis (foreigners), constructed their own synagogue in 1568 just 30 yards from the maharajah's palace. 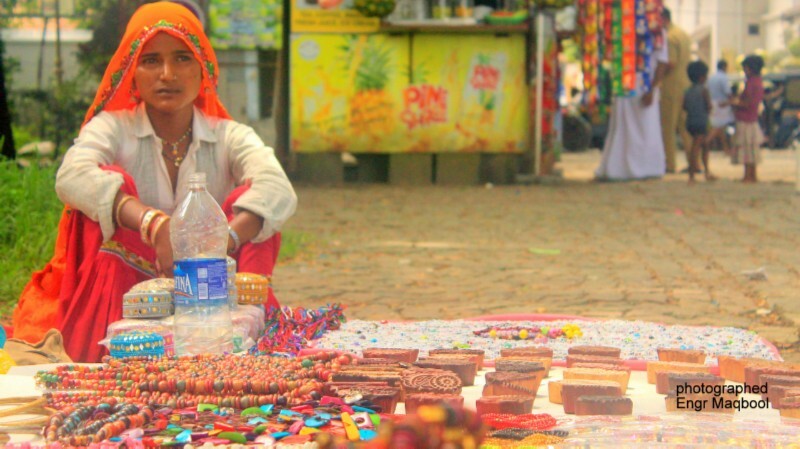 The lane leading to the synagogue has lots of shops selling local handicrafts, and cafés for you to sit and relax. Just walking through the area is an interesting experience. The ever lasting beauty of Kochi , brewed by the hands of history, It is a world of its own, retaining the specimens of a bygone era and still proud of those days. If you can smell the past, nothing can stop you from walking through these streets. 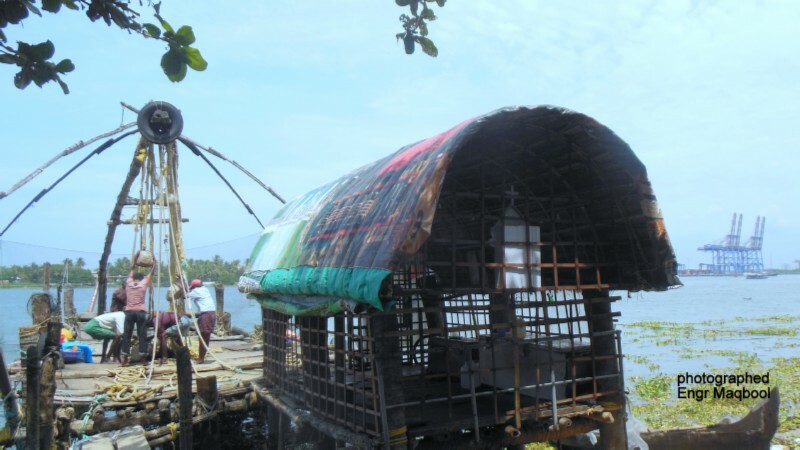 Some say that the nets were brought by Chinese traders during the reign of Kublai Khan in the 13th century, while others attribute it to the great Chinese navigator, Zheng He in the 14th century. Some even claim that it was the Portuguese who brought them here from China! 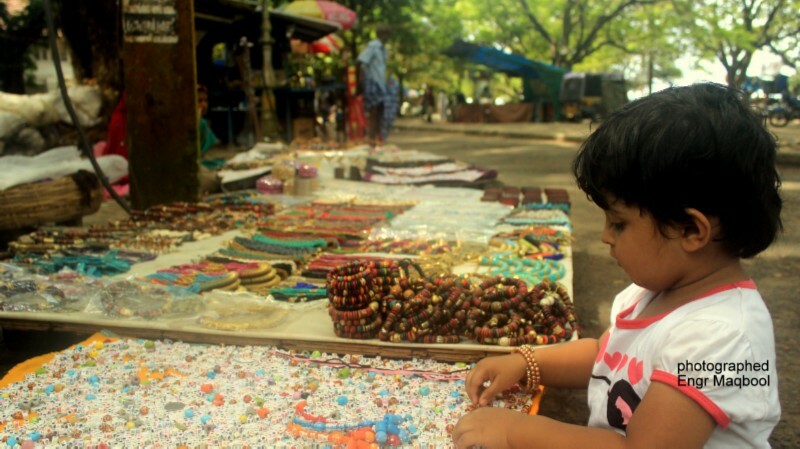 However, the most interesting thing about them is that they are only seen here, in and around Cochin! 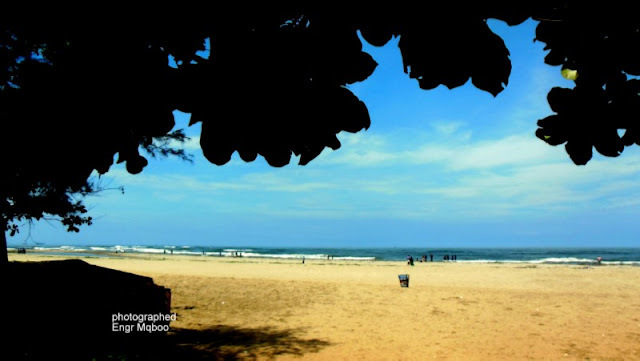 The Marine drive in Kochi is one of the best places to spend quality time leisurely in the city and provides an amazing view of the sea.The promenade is with a walkway of about three kilometres. The best thing about Marine Drive is that it is well maintained and cleaned properly and also has sitting arrangements for the visitors. 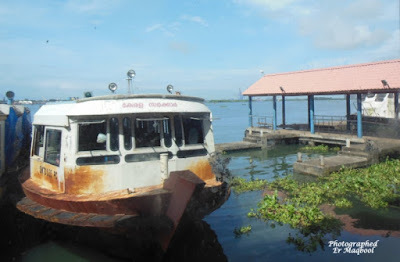 Beauty of this place is the backwaters, with ships anchored at the harbour and that interests the tourists even more. The sound of the water gently swishing away as you gaze at the skyline of Kochi is an amazing thing to behold, and will certainly transport you to a world of your own. This is end of my Travelogue of Kochi. I walked back to home Aligarh with charm of Kochi the Queen of Arab Sagar engraved in my memory for ever. 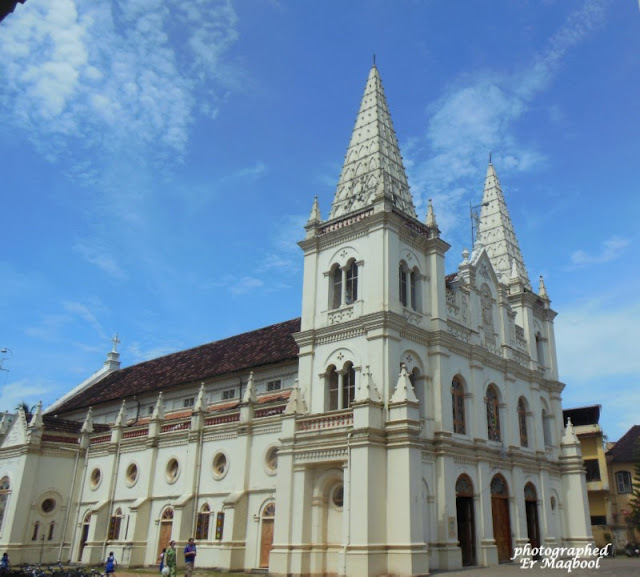 My camera is full of such memories.The ever lasting beauty of Kochi brewed in the hands of history, frozen in time and takes it to the rich colonial heritage. 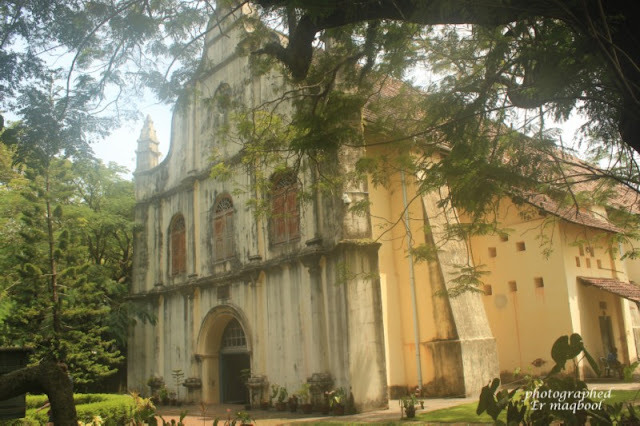 There are innumerable heritage buildings, some dating back to the times of Vasco Da Gama, the first Portuguese sailor to India. 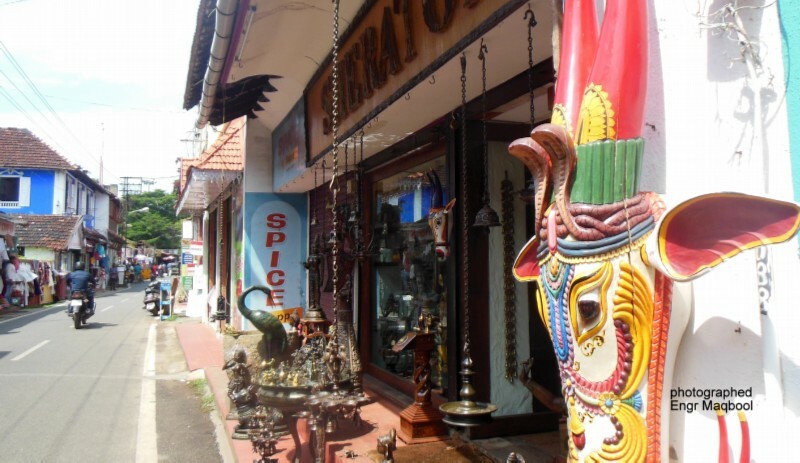 If you can dream the past, nothing can stop you from walking through these streets of Kochi. Written posted and photographed by Engr Maqbool Akram, with help of informations available on net sources.